Alexander Hamilton was a great founding father and had a big impact on American history. Hamilton had a very traumatizing childhood. He was a product of an affair and his father left him when he was just a baby. Since they were left poor after his father left him, Hamilton ,at the age of 11, got his first job as a clerk in an accounting firm in St. Croix. Also, when he was around 17 years old he wrote his first political article defending the Patriots' cause against the interests of pro-British Loyalists. "I have thought it in my duty to exhibit things as they are, not as they ought to be"
When the Revolutionary War began, in 1775, Hamilton fought in the battles of Long Island, White Plains and Trenton. In 1777, after Hamilton fought in that year's battles of Brandywine Creek, Germantown and Princeton, he was promoted to lieutenant colonel of the Continental Army. He caught the attention of General George Washington, who made him his assistant and trusted advisor. Hamilton put his writing skills to work. He wrote George Washington's critical letters, and composed many reports on the strategic reform and restructuring of the Continental Army. Hamilton was growing restless in his desk job, so Hamilton convinced Washington to let him taste some action on the battlefield. After Washington said yes, Hamilton led a victorious charge against the British in the Battle of Yorktown. In 1798, Hamilton was appointed inspector general and second in command as America got ready for a potential war with France. In 1800, Hamilton's military career came to a halt when America and France reached a peace agreement. Hamilton left his position as an advisor to George Washington to study law. After completing a short apprenticeship, he established a practice in New York City. The majority of Hamilton's first ever clients were British Loyalists. When the Revolutionary war ended many rebels returned to find their homes full and sued loyalists for damaging their homes and property. Hamilton helped to defend Loyalists. 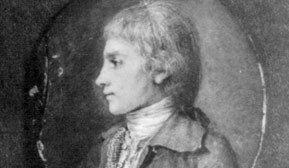 In 1787, while serving as a New York delegate, he met in Philadelphia with other delegates to discuss how to fix the articles of confederation. During the meeting, Hamilton expressed his view that a ongoing source of revenue would be crucial to developing a more powerful central government. Hamilton didn't even really right the constitution. However, he had a big part in the approval of it. Hamilton wrote 51 of 85 essays under the title The Federalist. 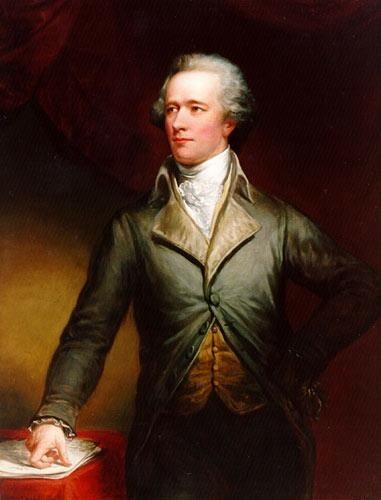 In 1788, at the New York Ratification Convention in Poughkeepsie, where two-thirds of delegates opposed the Constitution, Hamilton was a advocate for its ratification, arguing against the anti-Federalist sentiment. When George Washington was elected president of the United States in 1789, he appointed Alexander Hamilton as the first secretary of the treasury. 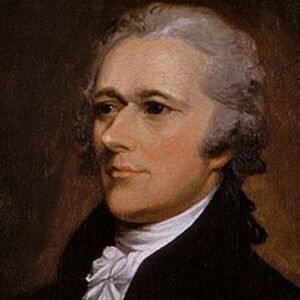 During the time of him being secretary of the treasury, Hamilton butted heads with fellow cabinet members who were fearful of a central government holding so much power. Hamilton went so far as to turn down New York's opportunity to house the nation's capital in favor of securing backing for his economic program. 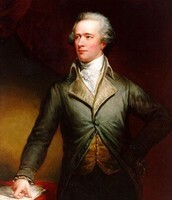 In 1795, Hamilton steppe down from his position as secretary of the treasury. 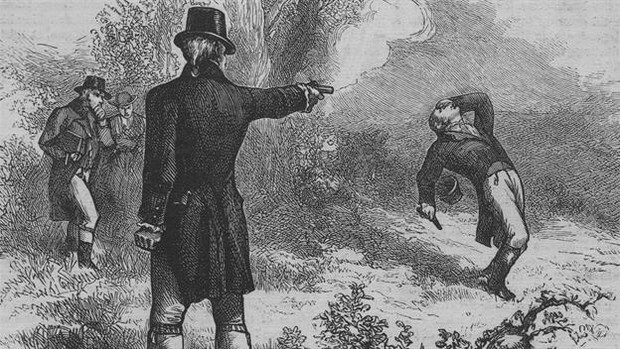 On the morning of July 11, 1804, Alexander hamilton and Aaron Burr raised their dueling pistols and took aim. Hamilton, the former secretary of the treasury, and Vice President Burr were longstanding arch enemies and political rivals. Burr might have been the president instead of vice president, had it not been for Hamilton's interference. When Burr's term as a vice president was almost over, he ran for governor of New York. Hamilton prevented Burr from winning by opposing his candidacy. Then Burr decided to challenge Hamilton to a duel. Standing on the heights of Weehawken, New Jersey, Hamilton and Burr fired their pistols. Some people say that Hamilton purposely missed Burr but Burr's shot fatally wounded Hamilton, leading to his death the next day. Hamilton will always be remembered as a great secretary of the treasury and did great things for our country so it could be what it is today.